I think you’re mostly right on the reasons that Petraeus wouldn’t make a winning candidate, but mostly wrong about why Republicans are gravitating toward him. When we had a brief Colin Powell boomlet in ’95, the GOP enthusiasm had little to do with recovering the national security advantage and more to do with “this guy is the biggest celebrity Republican who has the resume of a president.” That aptly describes Petraeus today. Also, Petraeus (and Powell) are much closer to “national celebrity generals” than was Clark in 2003. As a candidate, though, Petraeus would have a huge disadvantage that Clark didn’t face: he’d have to run as an above-politics problem solver, but that would be undercut by resigning to campaign against a president he served. It would also be undercut by six months of saying the kinds of things one has to say to win in Republican primaries. I think that's right Petraeus has attained close-to-Powell celebrity status. Clark might have been famous with the sort of folks who find their heroes in Richard Holbrooke books, but he didn't have that much of a national profile, which no doubt contributed to his problems. 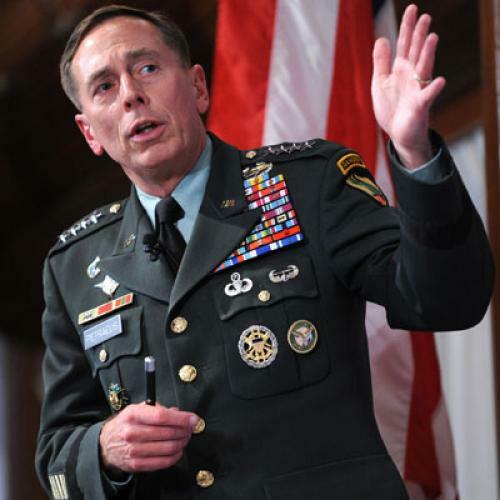 And, of course, part of the big appeal of Petraeus at the moment is that he seems to be very much above politics. He'd have to sully himself just by entering the presidential race, and then once he was out on the stump, doing the things candidates have to do, I think a lot of his shine would come off. All right, no more Petraeus-for-prez posts. When does the Ray Odierno boomlet begin? "Is Petraeus A Republican (cont'd)?"